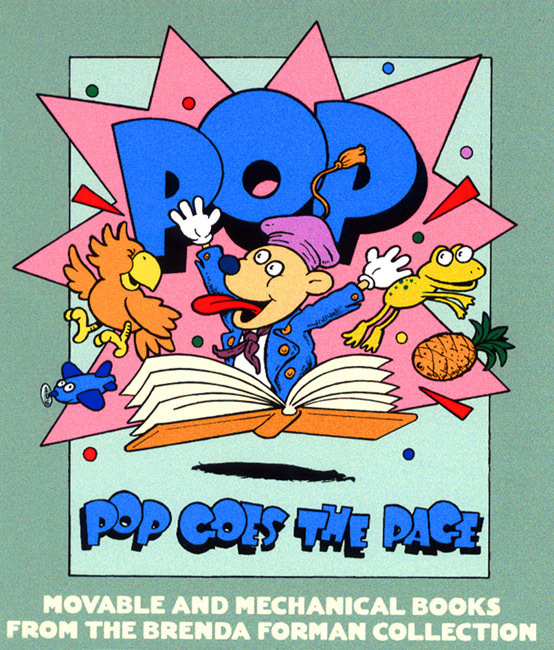 Houghton Mifflin published this book as part of its "peep-show" series. 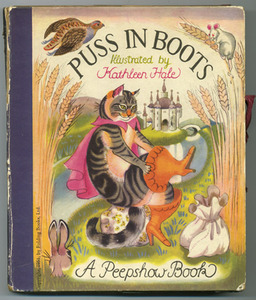 It provides a 360-degree carousel world composed of layered scenes in which Puss can cleverly maneuver and engineer a happy ending. 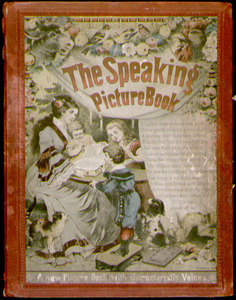 The stage format of the tableau invites children to script, direct, and add to the fairytale. Every cliche of a nineteenth-century heroine's life finds its way into this book. Rose Merton, virtuous and trusting orphan, overcomes all manner of adversity after being tricked from her aunt's house and kidnapped by gypsies. 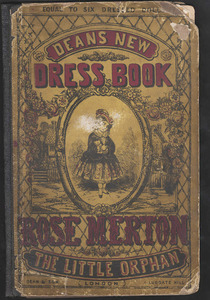 The book conveys her various hardships and triumphs by using different kinds of fabric in her dress. For example, as her fortunes sink, her pretty pink and white skirt gets exchanged for a plaid rag. The use of real cloth and ribbon is a rare novelty effect. This remarkable piece, almost a century and a quarter old, still produces its full range of sounds when the operator pulls the knob and string mechanisms along the book's back edge. Each sound accompanies an illustration, giving life to goats, cuckoos, and cows. Courtesy of Karen Van Lengen. 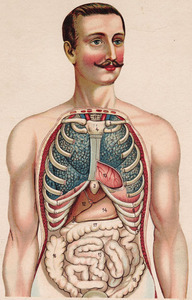 In the study of male anatomy, each foldout panel shows a particular system in the human body. The book emphasizes each of these systems at the expense of the whole. We get no sense of how the blood, muscles, nerves, and organs work together. The male lacks any specific genitalia and reproductive organs, but his head opens nicely to reveal the brain behind that well-coiffed cranium. In contrast to her male counterpart, this female model of anatomy highlights reproduction. One set of foldout panels depicts a child in the womb, while the rest of the large-scale images show circulatory, nervous, digestive, and musculature systems. The editor of the series seemed to feel no particular need to demonstrate the presence of any gray matter behind this woman's sweet facade with her demurely dropped eyes. The use of foldouts and layered flaps of paper to depict anatomy started with Andreas Vesalius' De Humani Corporis Fabrica Libri Septem, published in Basel in 1543. 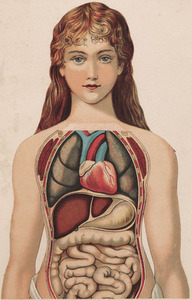 Unlike that predecessor, the nineteenth-century anatomy books in this section show a more complete understanding of the workings of the human body. However, they also reveal their cultural context-the man stands naked and the woman wears a discreet wrap. Apian, Peter. Cosmographicus Liber Petri Apiani Mathematici Studiose Collectus. Landshutae: Impensis P. Apiani, 1524. From the Tracy W. McGregor Library of American History. This is the first edition of Peter Apianus' Cosmographia, a theoretical work on geography. The book is one of the first to take advantage of insights gleaned from the discovery of the New World, while its volvelles (revolving wheels) are early instances of the use of movable parts in a printed volume. The operator can use these wheels to make geographical calculations.